First off, should your club get a kegerator? 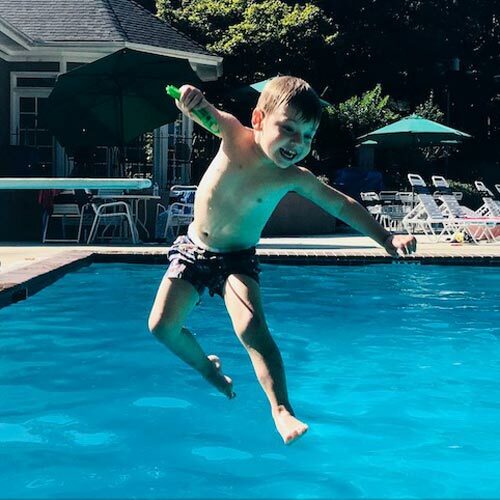 Heck yes!…. 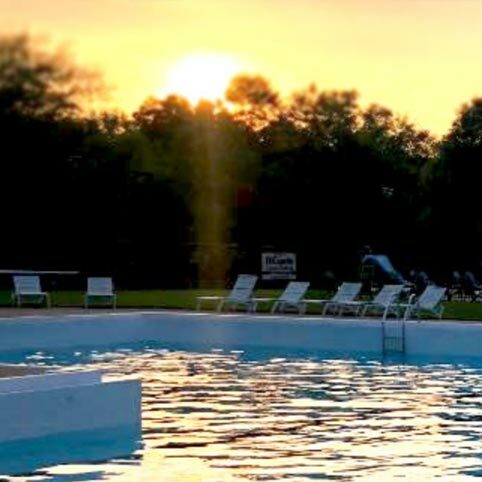 It’s a HUGE member perk. We’ve even had prospective members ask before joining if we had one. If you are already hauling in half-barrel or even pony-size kegs to the club, you know it’s a race against the clock to finish it before closing time. Again, if you are already providing occasional kegs, you know buying ice isn’t cheap (and it’s a huge waste). 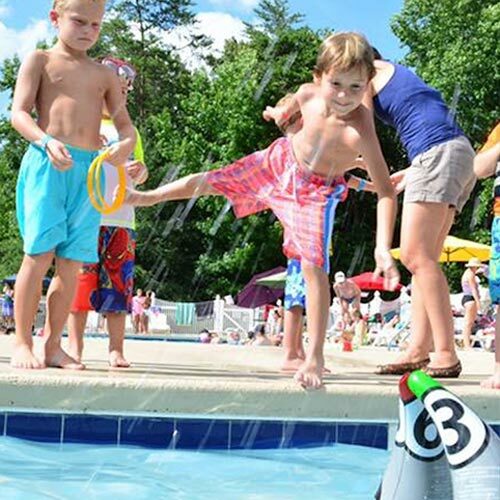 20-pound bags are about $5 and you need at least 3 or 4 of them to reliably keep a keg cold in the summer. Getting someone to volunteer to be Kegerator Director is easy. I guarantee there’s someone in your club that already has a home kegerator. This is the tough part. You’ve got two hurdles to overcome here. The “Think of the children” pushback. The first part is easy – make it a crowd-funded purchase. The second part is what will cost you votes “for” if you aren’t prepared. There’s probably going to be at least one Board Member worried about the optics of having a kegerator at the club. Innocent child eyes will see members imbibing. 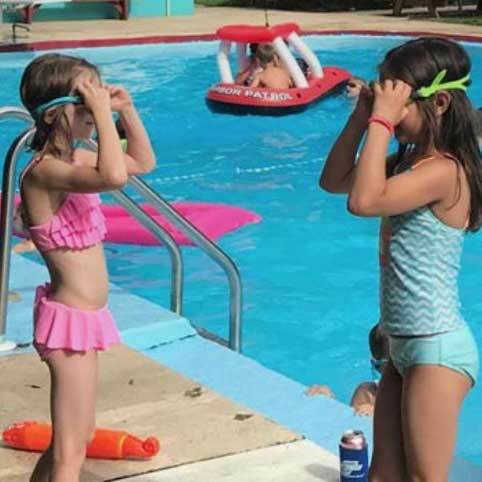 Well, the fact is, they are already are seeing it – adults bring their own drinks to the pool all the time. At my club, our recycling bins were full to the brim with beer cans. Members don’t hold back, keg or no keg. So what’s worse for young eyes? Seeing members pull out can after can of Bud Light or occasionally visit a nondescript black refrigerator and pour something into a red cup? The other half of that pushback is better phrased, “Think of the teens”, and that’s a far more reasonable pushback. You will need a locking tap, which is about $20 on Amazon. Door locks are also available to prevent access to the keg itself. Kegerators also have wheels so you can easily roll them in and out of a locked part of your club. So let’s go back to who pays for the kegerator. 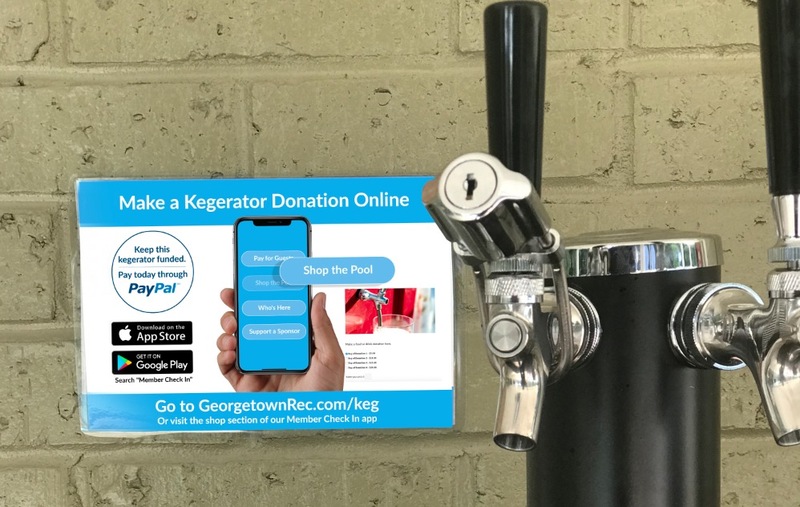 If the club is on a tight budget, simply make the members that want a kegerator pay for it. 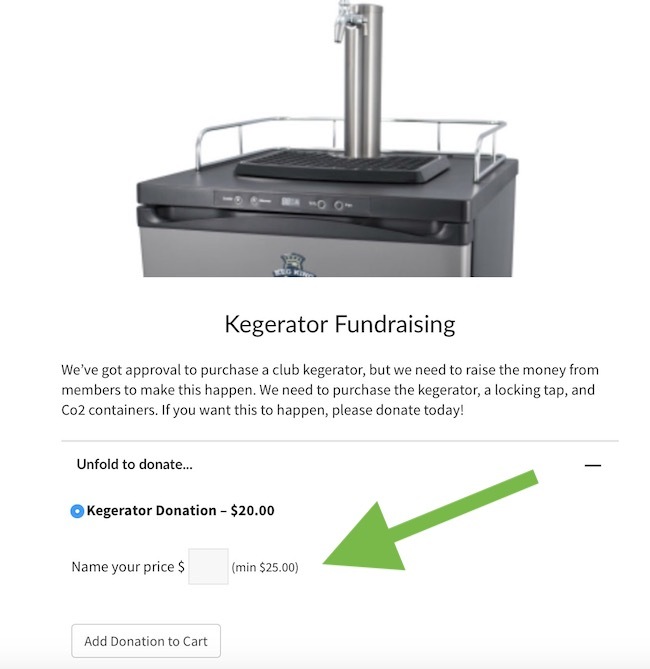 Heck, even if your club isn’t on a tight budget, make the members that want a kegerator pay for it. This will set a nice precedent that IF members want something that not every member will use, they have the freedom to fundraise for it. A kegerator is the perfect example. The club as a whole isn’t going to drink from it, so the club as a whole shouldn’t be responsible for paying for it. Obviously, you can go old-school and try to pass a hat around to pay for a kegerator, but cash in a hat doesn’t really work well with a social media announcement or club newsletter mailing. 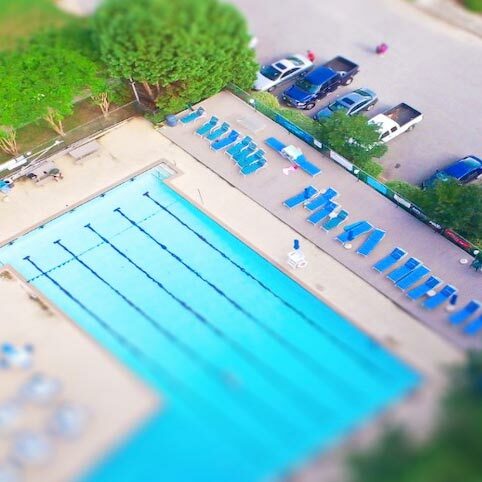 Here’s where your Pool Dues portal fits in perfectly. 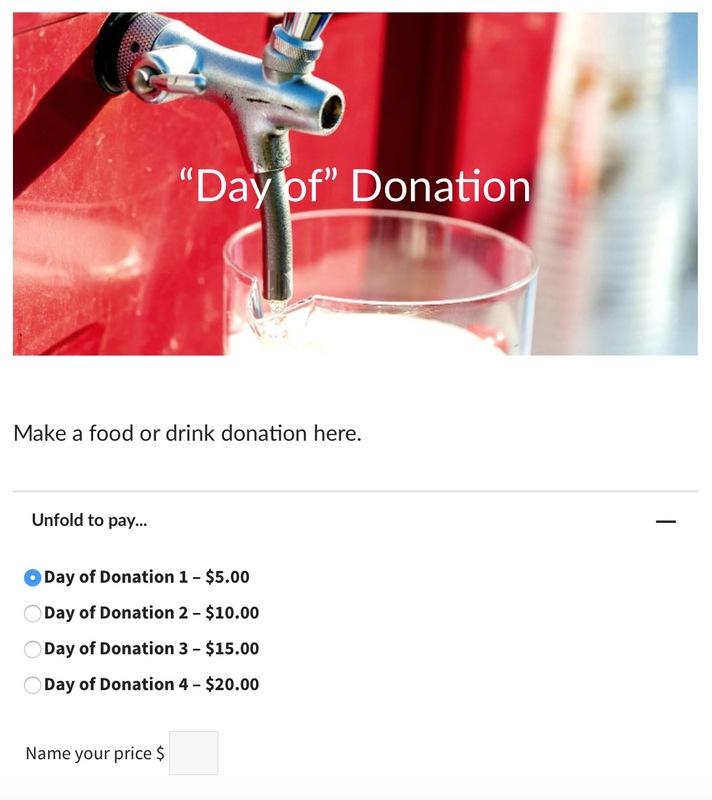 And by the way, we can set up a kegerator donation product right off the bat for you (or any donation style product). Create a product with a suggested price of $20. Include a Name-Your-Price option with a minimum amount above the suggested price (see the pic for reference). Send out a newsletter mailing announcing that the club can get a kegerator IF it is crowd-funded. Wait a week or so then use your club’s social media channels (Facebook Group, Twitter, whatever you got). Repeat steps 3 or 4 if need be. Our kegerator was $468, and after the first newsletter mailing we got about half way to our goal. 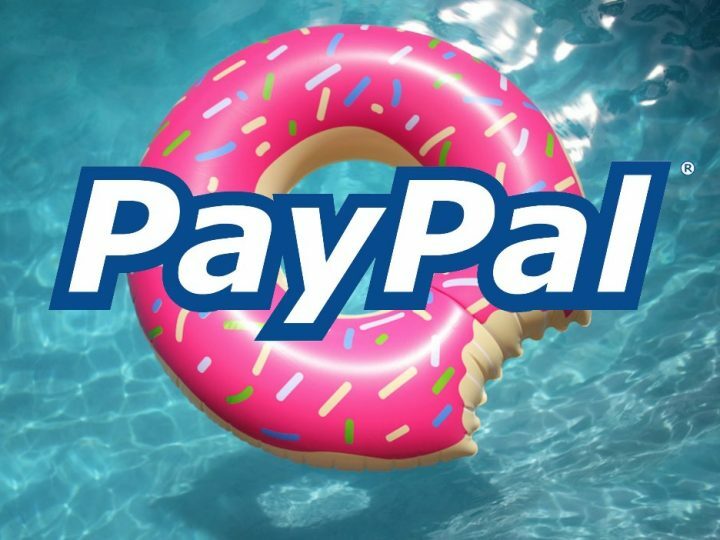 In fact, after our first 3 donations, we got to $120 because one person donated $80 using the Name-Your-Price option. 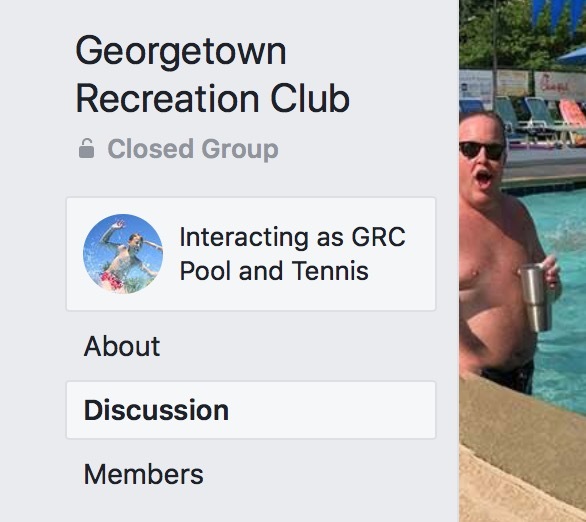 Our club has a Men’s Only Facebook Group, so about a week after the club newsletter, we posted in the Group and quickly exceeded our goal (which paid for the locking-tap and the first couple kegs). And obviously, our Treasurer could easily keep tabs on who donated and how much. 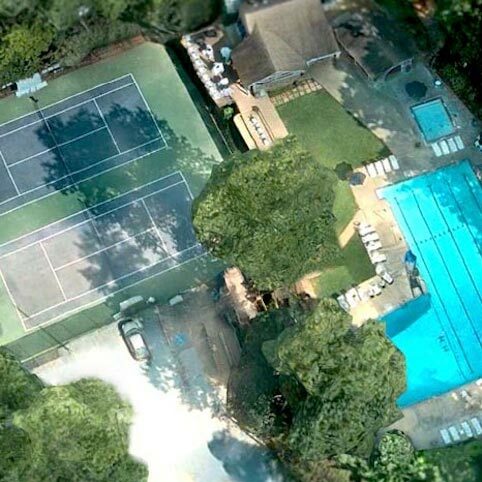 The picture to the right shows some of the reporting from the Pool Dues backend. 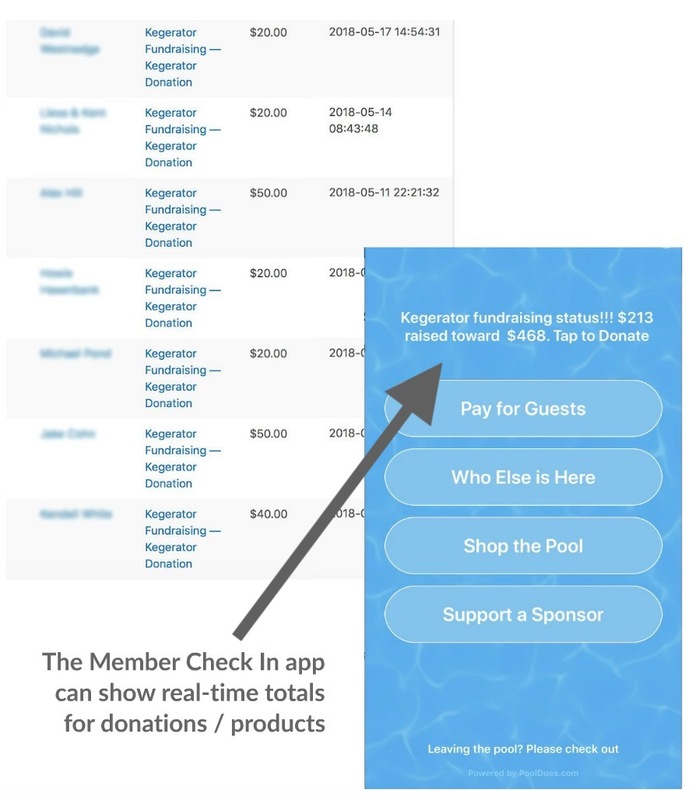 At this point, the club hadn’t yet been using our Member Check In app, but if they had been, they could have seen real-time progress of how much had been raised. How to Keep a Kegerator Funded? 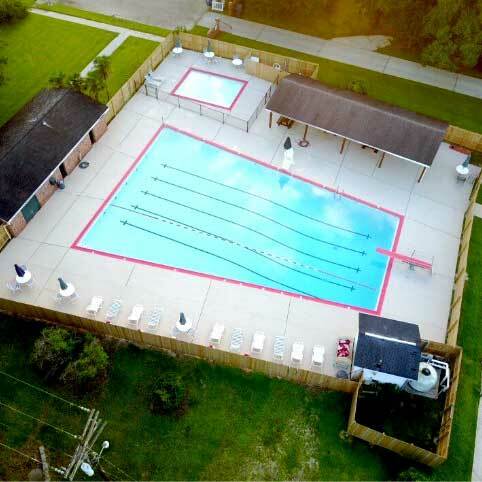 Again, here’s where your Member Check In app and Pool Dues payment portal is going to come in handy. We’ve added a laminated sign on the wall by our kegerator reminding people that they should occasionally chip in. Of course, the beer drinkers know who they are, and if they want to keep the beer flowing, they also know they’ll need to chip in. 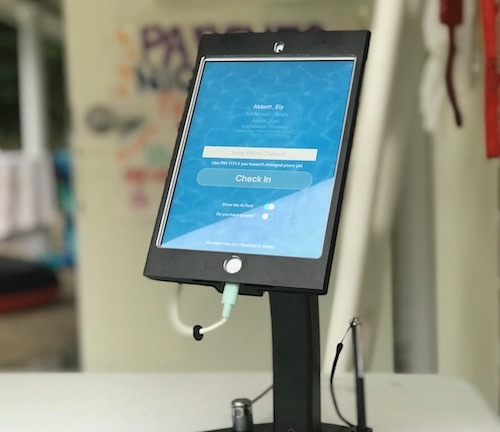 All your club needs to do is make it easy to pay. For resupplies, you probably don’t need to ask for $20 at a time though (which was the initially suggested donation for the kegerator). 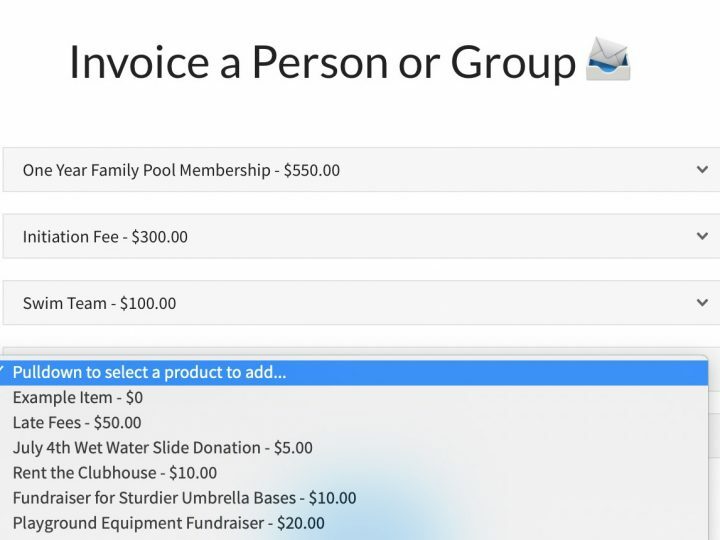 Instead, your Pool Dues portal includes a “Day of” donation option, with prices in $5 increments.